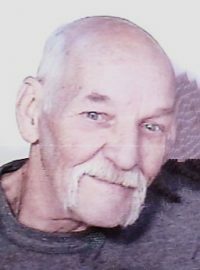 Lee R. Atherton – (66) – of 242 Chambers St., Beaver Dams, NY, died early Monday morning (July 16, 2018) at his home, following a long illness. Born in Wellsboro, PA on August 14, 1951, he was the son of Harry & Eleanor (Wilcox) Atherton. A lifelong resident of Beaver Dams, Lee was a graduate of Corning – Painted Post High School (class of 1969). Following high school graduation, he enlisted in the US Navy and served his country from 1969-1970. Throughout the years, Lee enjoyed attending flea markets and had acquired a large collection rare items, such as beer steins, coins, jack-knives, Pez dispensers, older books and vintage toys. He was an avid hunter & fisherman and loved rooting for the Green Bay Packers. He also enjoyed attending local Little League games and also Little League games played in Williamsport, PA where the Little League World Series is held annually. In addition to his parents, Lee was preceded in death by his brother, Harry “Denny” Atherton. He was married on February 6, 2014 to the former Donna Benedict-Fisk who survives. Also surviving are his children, Doug Atherton of Big Flats and Amy (Anthony) Henderson of Veteran, NY; his step-son, Harley Fisk of Corning; his sister, Nancy (Alton) Smith of Tuscarora, NY; 4 grandchildren, Colvin Atherton, Jaylen Henderson, Skyler Henderson and Aubrey Henderson; several nieces & nephews. At Lee’s request there will be no calling hours. Final interment will be in Beaver Dams Cemetery. A “Celebration of Life” will be held at a later date. I’m sorry to hear of Lee’s passing. He was a very generous and kind man. I always enjoyed seeing him and sharing stories. He will be greatly missed. His persistence in maintaining a positive outlook and his determination to be a champion for good will be a lasting legacy. He was a good soul that saw the best in people, with no judgments. I am eternally grateful to have known him. Lee was one of my brothers in law, married to my sister, Donna. He became part of our family very quickly, and we grew to love him very much. He and Donna didn’t have many years together, but they made some great memories in the time they had. He was always up for a weekend road trip to find something new for them to do together. I admired his sense of humor, fairness, kindness, and last but not least, his expansive collection of funny vintage T-shirts! I miss you already, Lee.